The officer was driving southbound on the freeway, just after 4 am, approaching the 65th Street exit, when the suspect vehicle intentionally rammed the patrol car from behind. The impact caused the officer’s vehicle to move across the lanes of traffic and into the embankment. The suspect vehicle then fled the scene. Southbound I-5 north of NE 65th Street is affected to do the investigation at the hit and run scene. 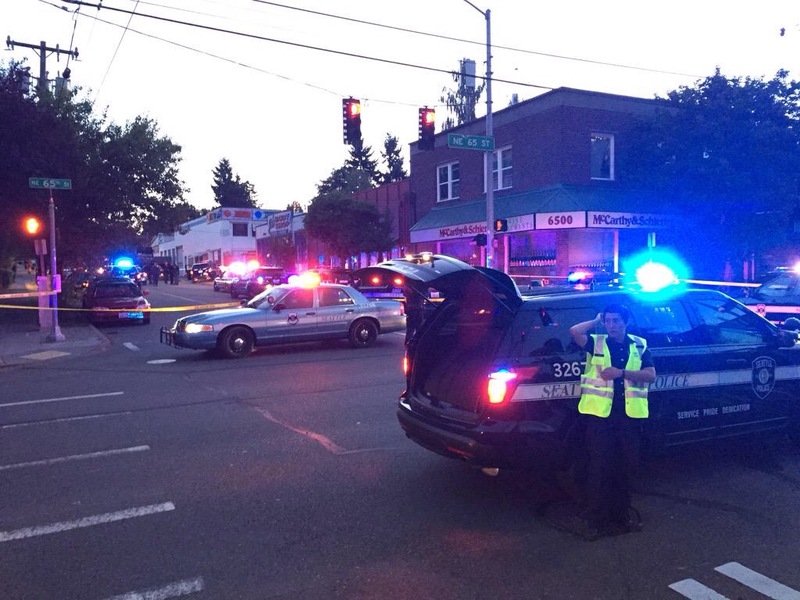 From police scanner chat, it now looks as though the suspect fled in his vehicle east on NE 65th Street, and was stopped at Ravenna Avenue NE by officers. Homicide detectives are on scene now, as is Police Chief Kathleen O’Toole. Waiting on details from SPD to confirm an officer-involved shooting and the suspect being deceased. At this time the intersection of NE 65th Street and Ravenna Avenue NE as well as the 6500 block of Ravenna Avenue NE is closed for police investigation. More updates as we’re able. UPDATE (5:44am): The main line of southbound I-5 is closed at this time from approximately NE 85th Street to NE 65th Street. WSDOT has opened the express lanes southbound for all traffic. UPDATE (6:15am): The Seattle Police Department has confirmed that this was an officer-involved shooting on the 6500 block of Ravenna Avenue NE. UPDATE (6:30am): one of the reporters at the scene notes that the body has not been cleared yet. UPDATE (7:29am): NE 65th Street has reopened to traffic. Ravenna Avenue NE north of NE 65th Street remains closed due to the ongoing police investigation.